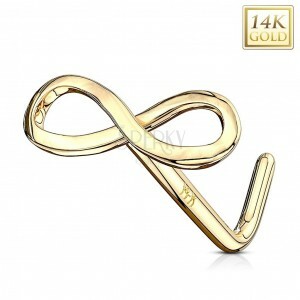 585 gold nose piercing, a small infinity sign, curved, made of yellow gold. The piercing made of yellow 14K gold ends with a head in a shape of a shiny infinity sign. The piercing has a curved shape.